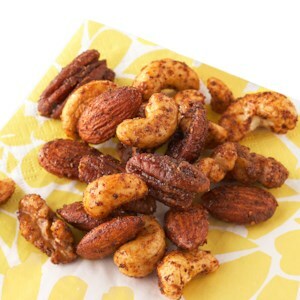 Find healthy, delicious spiced nuts snack recipes, from the food and nutrition experts at EatingWell. 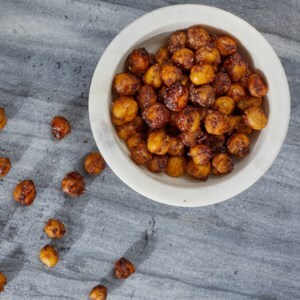 Roasting canned chickpeas until crispy makes a simple and healthy snack. 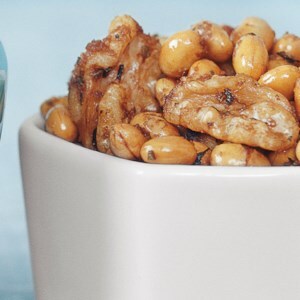 In this riff on candied nuts, chickpeas are coated with cinnamon sugar to make them irresistible! 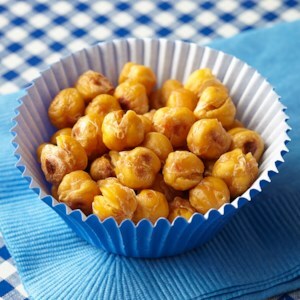 This snack is best enjoyed the day it is made. 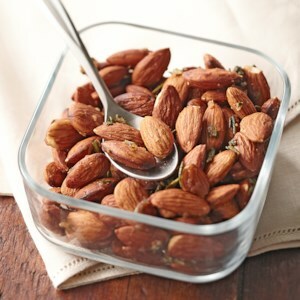 Freshly-toasted nuts are seasoned with herbs and Parmesan cheese for a quick, tasty appetizer. 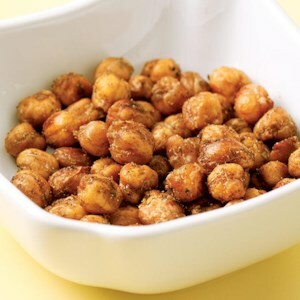 Spicy seasonings add a bit of zing to roasted nuts for an appetizer that's perfect for any occasion. 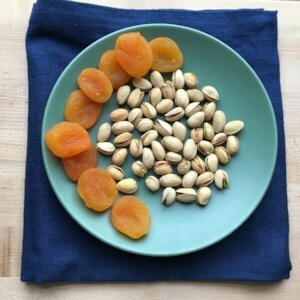 Snacking shouldn't be complicated--it can be as simple as a few dried figs and some heart-healthy almonds. 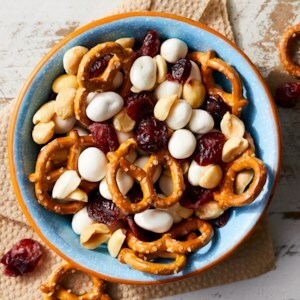 Dried fruit and nuts is a classic snack that never gets old. 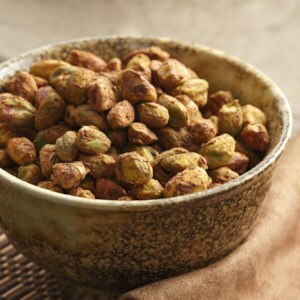 Tip: Use shell-on pistachios--shelling them will force you to eat slower and really savor your snack time. 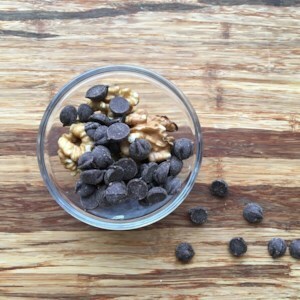 Whip up a big batch of this sweet and salty mix for on-the-go fuel or to have on hand for after-school snacks. 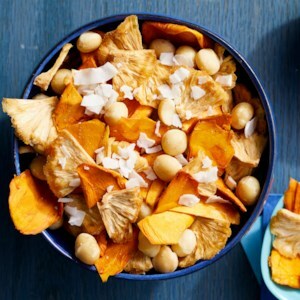 Sweet, salty and simple, this tropical treat is a perfect on-the-go snack for a quick energy boost. 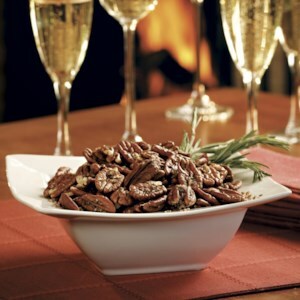 Make plenty of these mildly sweet and salty nuts--they are great to have on hand over the holidays. 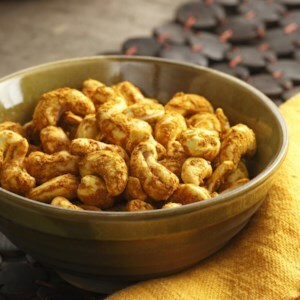 These curried cashews are impossibly addictive--every time we made them in the Test Kitchen they disappeared in a flash. 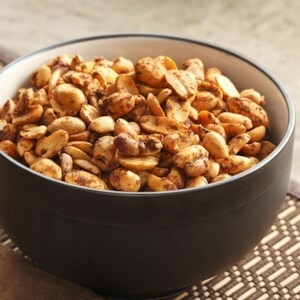 If you use salted cashews, omit the added salt. 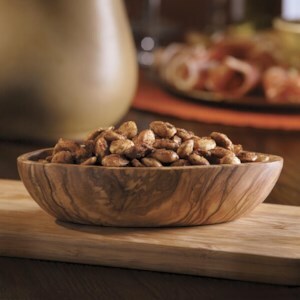 Salty, sweet and laced with smoke--the perfect kind of almond for a party. 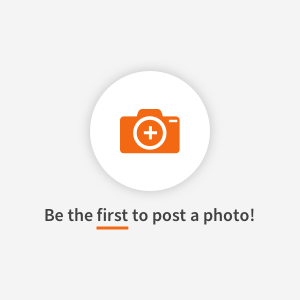 If any remain the next day, savor them over a salad topped with sliced ripe pears and shaved Manchego cheese.